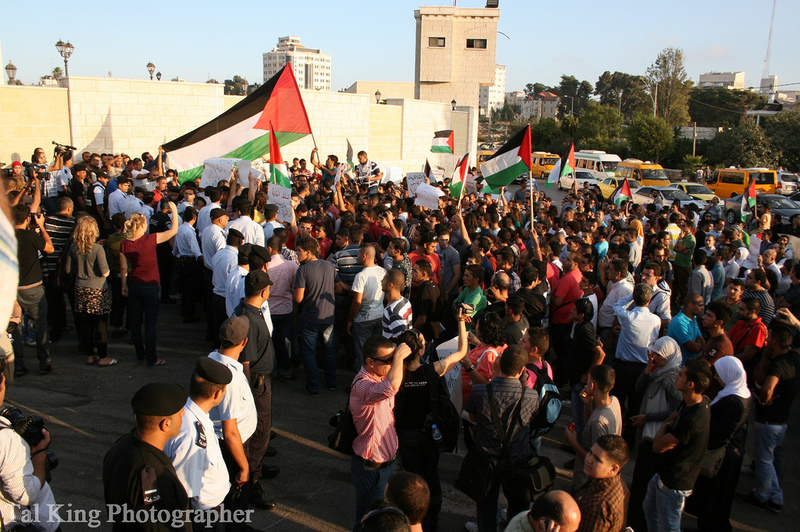 Palestinian Civil Society: What Went Wrong? Over the past two decades, social, political, cultural and institutional changes have swept across the occupied Palestinian territories. Many of the changes can be traced back to the Oslo process, such as the establishment of the Palestinian Authority, the redefinition of official Palestinian-Israeli relations, the involvement of international donors, and the radical shift in the political economy of the occupied territories. Al-Shabaka policy member Tariq Dana argues that Palestinian civil society is fundamental to understanding the multilayered changes that have negatively affected Palestinian society. He identifies the four dimensions of “what went wrong” since Oslo – the shift in organizations’ agendas, the role of the grassroots, the status of politics, and the production of knowledge – and concludes with recommendations to revive civil society as a fertile terrain for profound social transformation. The early 1990s marks a watershed between two phases of civil society development. The first was characterized by its grassroots linkages and was deeply-rooted in the national liberation movement throughout the pre-Oslo decades of 1970s and 1980s, while the second is largely represented by a group of professional NGOs operating as intermediaries between the global dynamic and the local context. What is now widely known as Palestinian civil society includes a variety of actors such as trade unions, youth organizations, grassroots-organizations, charitable associations, women’s groups, religious and tribal associations, educational institutes and professional NGOs. The discussion of the changes to civil society in this policy brief will be limited to the professional NGOs that have proliferated since Oslo to become dominant organizations at the expense of other indigenous forms of civil society, in particular the mass-based movements. The proliferation of NGOs began with the Oslo process and the invasion of the neoliberal mode of governance engendered by donor agencies and international financial institutions. This led many Palestinians to readjust their understanding of how civil society ought to function in order to meet the prerequisites of the “peace process” and its accompanying state-building and economic development packages. Accordingly, a large segment of local organizations toed the line of “NGOization” becoming increasingly prominent due to their large numbers, capacity to attract donor funds, and ability to speak in the name of Palestinian civil society. They are also characterized by a managerial approach, a hierarchal structure, dependency on external funds, and the implementation of top-down projects for social change, whatever their area of work – e.g. development, humanitarian relief, human rights, democracy promotion, or women’s empowerment. The comparison between the pre-Oslo mass-based civil society, and the post-Oslo NGO-led civil society reveals four opposing dimensions that are essential to our understanding of how Palestinian civil society was transformed, and what went wrong in the process: the shift in organizations’ agenda, the role of the grassroots, the status of politics, and the production of knowledge. The national agenda constituted a pillar of Palestinian mass-based movements and systemically shaped the movements’ discourses and objectives in a manner that appropriated the principles of the national liberation movement and incorporated them in their organizing on the ground. Offered a politicized form of service provision that proved essential to support local communities’ steadfastness (sumud). For example, the issue of poverty was not treated as an independent phenomenon, but as a direct result of the Israeli occupation’s policies. At the same time, providing services to the poorer strata of the population was not presented as passive humanitarian relief but incorporated crucial political dimensions that addressed the root cause of socioeconomic grievances. This was particularly effective in promoting the sense of solidarity and collective empowerment. Nurtured public awareness of political, social and economic issues and in reviving cultural heritage, which was also of great significance to the process of collective empowerment. Raising public awareness included specific training to address internal social problems, health issues and methods of economic survival, with specialized committees (agriculture, health, and women’s empowerment) providing technical assistance to their constituencies. Invested in political mobilization in order to transform people’s grievances into concrete collective action in the course of the national liberation struggle. With the Oslo process, the Palestinian institutional setting, the development process, and the society at large became exposed to the heavy hand of conditional international aid that profoundly impacted the national agenda. The conditional aid also required a major restructuring of various local organizations so as to be in conformity with the Oslo framework. Accordingly, these organizations diverted their agendas to serve the “peace process” by administering a wide assortment of projects more suitable for post-conflict contexts. This deeply altered the organizations’ self-perception and the way in which they related to the national liberation movement and their previously active social constituencies. Palestinian NGOs readjusted their vision to accommodate external demands, and began to increasingly identify domestic social problems and development requirements in compliance with standards engineered by the international development “industry” which tends to prioritize global solutions to the peculiar characteristics of local problems. This, in turn, undermined the capacity of NGOs to resist donors-driven diktats and eroded their capacity to produce authentic plans based on national priorities. This is evident in the proliferation of internationally sponsored workshops, conferences, and training concerned with democracy promotion, good governance, citizenship, women’s rights, conflict resolution, etc. These activities are often advertised and held with the visible logo of the sponsoring donor, e.g. USAID, the European Union, Ford Foundation, among others, which illustrates the heavy reliance of these NGOs on international donors for their legitimacy. The period before Oslo was characterized by a collective experience although the level of mobilization varied from one organization to another. The emergence of the popular committees in the First Intifada was a success story due to three interdependent factors. Their organizational structure was characterized by decentralization, the level of which increased with the occupation’s policies of repression, horizontal flexibility, and extensive outreach, which allowed them to engage a substantial segment of the population. Members were engaged in the decision-making process, which allowed them to acquire leadership skills and to step up to leadership roles, enhancing the participatory nature of the committees and ensuring that decisions reflected the willingness of the people involved to determine and coordinate sub-agendas in their daily work. Finally, the stimulation of a collective voluntary spirit to serve public good was crucial to the overall collective action. As an integral part of the politics of sumud, the mass-based movements played a key role in the politicization of the people’s consciousness. They used different methods to widen popular engagement in the political realm, such as recruiting new members into political parties, broad-based political mobilization, and the organization of collective actions. This also helped politicize alternative strategies for development and economic survival among others. Civil society’s significant inputs into the Palestinian political experience during the 1970s and 1980s created the most actively politically engaged population in the region, which found its full and effective expression during First Intifada. After Oslo, international donor assistance to civil society provided high salaries and other guaranteed economic privileges. NGO leaders were also able to engage with local and international politicians, foreign diplomats, parliamentarians, United Nations officials, and international agencies. They were also often invited to participate in international events and conferences and on the media. Such distinctions and privileges helped create two types of elites. The first consists of former leaders and activists, generally middle-class and politically affiliated with leftist factions, who built their reputation and professional capacity through their past political activism. The second group is a younger generation of career-oriented professionals who mostly gained their knowledge and skills from Western universities or professional experience overseas. This group is up to date on the dynamics of the aid industry and usually has extensive networks of overseas contacts. Another aspect of NGO elitism is the upward concentration of power in the hands of a few individuals. Many local NGOs have become personality-oriented to the extent that the name of their leaders dominates over that of the organization. Some Palestinian NGO heads have occupied their positions for nearly 30 years! Paradoxically, key donors concerned with issues of democratization support such anti-democratic arrangements. The contradiction between the rhetoric of democracy promotion and internal anti-democratic practices raises questions about NGO integrity and credibility and contribute to public distrust. A FAFO poll found that 59% of respondents said they distrusted Palestinian NGOs by 2011. NGO distance from the grassroots is even more pronounced in the identification of social constituencies as passive “target groups,” “clients,” “stakeholders,” or “beneficiaries.” Such concepts, regularly used in the reports of international development agencies, are now conventional wisdom in the language of local NGOs. These concepts also imply an exclusionary process that inflicts further de-politicization, de-mobilization and de-radicalization of the people at large, transforming the previously solid cohesiveness of the Palestinian popular base into fragmented powerless groups at the receiving end of services and values. In order to sustain this elitist trend, several youth NGOs function as machineries for the re-production of the Western liberal model of community leadership. Carefully selected youth groups are often invited to join various local and international seminars and workshops that seek to alter youth perspectives and their worldview in two ways: Political re-orientation to harmonize with the Oslo process and promote pacification, liberal democratic values, tolerance, and civic education; and ideological re-orientation based on neo-liberal values of individualism and consumerism and on fostering an entrepreneurial spirit, rational choices, self-responsibility, and risk taking. As an integral part of the politics of sumud, the mass-based movements played a key role in the politicization of the people’s consciousness, as described in section on Collectivisim above. The donor-imposed political conditionality played a critical role in creating the chasm between the civil and the political. 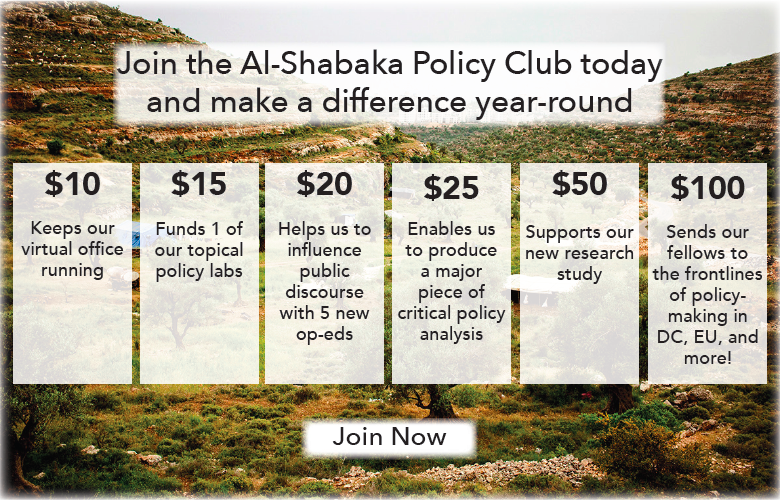 From the donors’ perspective, Palestinian NGOs should not be politically affiliated or engage in any form of nationalist politics, to the extent that certain donors went so far as to criminalize resistance. The most alarming move was the imposition of highly restrictive criteria such as the anti-terrorist clause initially imposed by the USAID in 2002 as an integral condition for contracting local NGOs and since followed by other donor and UN agencies. The seemingly apolitical outlook of NGOs is inherently political as it leads to political outcomes that should not be underestimated. For example, politics is integral to the discourse and practice of development, which then becomes depoliticized through NGO intervention. Many local NGOs are examples of this form of development, reducing the complexity of the local context to technical packages and rarely paying attention to the underlying causes of inequalities and injustice. In fact, by accepting donor funding priorities and agendas, Palestinian NGOs became enmeshed in the deliberate Western evasion of the political, social and economic contexts lying at the core of Palestinian de-development. In particular, addressing the root cause of the Israeli colonial structure as the major obstacle to development is trivialized in NGO assessments and reports. Instead, they provide technical solutions to the persistent humanitarian symptoms of the occupation’s aggression. Unsurprisingly, the de-politicization that NGOs have contributed to Palestinian civil society has inevitably interrupted the development of political life. The Palestinian people, once seen as the most politicized in the region, have experienced a dramatic deterioration in political consciousness and engagement. NGOs that inject the public sphere with doses of top-down predefined projects dealing with issues of social capital, civic education, peace-promotion activities, liberal democracy and good governance, unwittingly form part of the politics of social reengineering which aim to influence popular attitudes and social behavior as means to a political end, that is to further stabilizing the so-called peace process. The de-politicization of such a large segment of Palestinian civil society helps to sustain the political status quo and to negate the role of a civil society system of checks and balances to the PA. The explicit NGO support for the political status quo was even more pronounced when many NGOs decided to streamline their programs with the widely criticized objectives of the Fayyad’s Palestinian Reform and Development Plan (PRDP 2008-2010) and its successors. During the 1970s and 1980s, Palestinian civil society created a body of knowledge that aimed to sustain a political consciousness based on principles of resistance and self-determination. This was centered in an indigenous sphere that emphasized local culture as a cornerstone to the construction of collective identity and the promotion of the culture of resistance. The knowledge produced had a particular focus on the different historical stages of the anti-colonial Palestinian struggle against both British colonial rule and the Zionist movement in Palestine. This knowledge building also included other revolutionary experiences to associate Palestinian resistance with the Third World’s liberation movements, for example, those of Algeria, Vietnam and South Africa. An integral part of this anti-colonial knowledge was also based on the ideological underpinnings of pan-Arabism, Marxism and socialism, among others. The system of anti-colonial knowledge production was shaken by the striking changes after Oslo. As the presence of NGOs increased, knowledge production dramatically shifted to the standardized body of knowledge of Western liberal institutions. These new forms of knowledge are predicated on neo-colonial notions of “cultural modernization” that aim to transform social structures and relations for the purpose of hegemony and control. Today, Palestinian NGOs are instrumental in transmitting, consuming and marketing this knowledge. The NGOs not only produce knowledge that aims to narrow the definition of civil society. They also produce a plethora of publications, research papers, conferences, and seminars that tend to alter local perspectives and provide the donor community with detailed information on the local context. In both cases donor perceptions influence or directly interfere in the general orientation of knowledge production. The research by NGOs in the occupied territories amounts to 90% of the total by contrast to Palestinian universities, which make a modest contribution of 10%. Such a huge disparity reveals the market logic governing the production of knowledge, which seeks to empower the private research at the expense of public educational institutes. Further, one should note that this way of undertaking research has no “trickle-down” effect. Rather, it has helped to fragment Palestinian research circles even as it developed a quasi-monopoly over the industry. In addition to marginalizing the role of the university system in the production of knowledge, this monopoly has produced a group of contracted senior researchers who systemically undermine the development and capacity of new researchers and recent graduates to pursue better opportunities and skills. Therefore, one cannot escape the conclusion that the production of knowledge in Palestine is not an indigenous endeavor that reflects real domestic concerns but an echo of donor recommendations and interests. Palestinian civil society activists, practitioners, and academics should jointly rethink the concept of civil society in a manner that surpasses its current limitations and the narrow focus on professional NGOs. In particular, these efforts should refocus the discussion around a vision of a civil society that prioritizes the national liberation agenda, popular mobilization, engagement, and resistance, and anti-colonial politics and knowledge. It is vital to give primacy to national perceptions and to understanding the complexity of the local context. In other words, civil society organizations should perceive social, economic and political problems through a local lens, and provide solutions based on progressive approaches. This requires people-centered, participatory and democratic structures such as cooperatives, trade unions, women and youth movements and other forms of grassroots social organization. The participatory approach is the best way to make sure that those marginalized and excluded by developments can engage in the public sphere on their own terms. At the same time, the wealth of past experience must be combined with other experiences of peoples’ struggles around the world. There is a need to envision alternatives to the current aid system by re-inventing new solidarity-oriented sources to fund civil society activities. This may include self- finance schemes that would involve more Palestinians in the Diaspora, international solidarity groups, and social justice movements and would help reduce reliance on conditional funding. Palestinian civil society should challenge the very bases of the current development paradigm which have been shown to be harmful and unsustainable because they sharply contrast with the basic facts on the ground. Instead, civil society actors concerned with development must identify the structural causes impeding development and introduce innovative approaches to development that place self-sustainability and socioeconomic and cultural resistance above artificial technical standards . These are among the ways in which civil society organizations and their constituencies can become mutually empowered and make a real contribution to the Palestinian struggle for self-determination and justice, reviving the vital role they had played during the First Intifada. Al-Shabaka Policy Advisor Tariq Dana is a Senior Research Fellow at Ibrahim Abu-Lughod Institute of International Studies, Birzeit University. He is also a faculty member at the MA program in International Studies where he teaches courses on global political economy. He was a postdoctoral fellow at the Graduate Institute of International and Development Studies, Geneva. 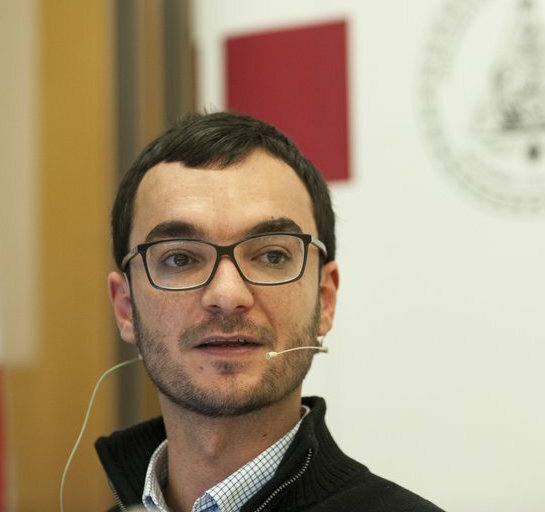 His research interests include political economy, civil society, social movements/ NGOs, and state-society relations with a particular focus on Palestine.